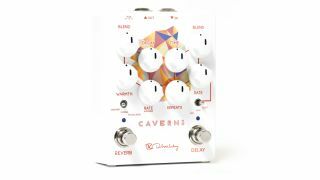 Keeley Electronics is continuing its relentless wave of new pedals with the Caverns Delay Reverb V2, which the company reckons might just be “the perfect end to any pedalboard”. Reverb-wise, it’s packing three sounds: a ‘blackface’-style spring with tremolo; modulation; and shimmer with octave-up voices on the trails. On the delay pedal side, Keeley has equipped its analogue tape-aping Magnetic Echo circuit, complete with three-way modulation for wow and flutter, and 650ms delay time. 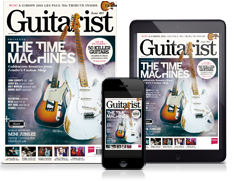 There’s also the option of true bypass or trails, while top-mounted jacks and top-quality buffers make for a ’board-friendly stomper. For a lot of players, this could be all the delay and reverb they need, and given Keeley’s recent track record, we have high hopes. Caverns V2 is available from Robert Keeley from 28 August for $249 (approx £194/€211), or $179 for preorders.